Updates to Gary Michael's profile since your last visit are highlighted in yellow. After CHS, I attended TTU and worked a few jobs before transferring to MTSU. During those years I was a missionary to a small island in the West Indies called Montserrat and also was in eastern Europe in the Czech Republic as well as visiting Puerto Rico, England, Germany and Slovakia. It's awesome to have close friends locally plus in many regions across the world and will forget my experiences or friendships. I'd love to put here my whole testimony but you should probably ask. We both have good and bad experiences in life and definitely the good things are my 3 amazing kids plus my wonderful fiance, Stacy. Me and the kids live in Franklin, TN but Cookeville will always be home. Graduated from MTSU in 1998 with a degree in Music Business Administration. Oh the funny stories I have...humm where to start?? But the honorable names mentioned will be Gary Burton, Wes Phillips, Donnie Robbins, Jimi Joe Simpson, Tim Rodgers, Benny Romero, Mike Lynch oh and I'm sure many others. One memory is during a home basketball game (we were all crazy) and Matt Lawson was leading the CAVALIERS chant and misspelled it. Gimme a uhhh, what? wait a minute. So funny. Gary Michael Hensley has a birthday today. Gary Michael Hensley added a comment on Profile. Gary Michael Hensley posted a message. Oh lets add some new pics woman!! we have some good ones now!! lets see some updated pics cousin!! 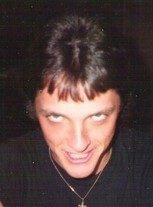 Gary Michael Hensley changed "Then" picture. Gary Michael Hensley changed profile picture. 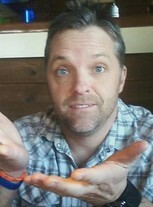 Gary Michael Hensley changed "Now" picture. Gary Michael Hensley updated profile. View. Gary Michael Hensley posted a message. New comment added. I'll keep our stories private!! Ha I'm still faster! !